Chef Richard Knight and Harold's In The Heights owner Alli Jarrett. Photo courtesy of Harold's In The Heights. Chef Richard Knight, who first came to prominence in Houston as one of the chefs at Feast, hasn’t been at helm of a restaurant kitchen since leaving Hunky Dory on February 5 of last year. (Hunky Dory shuttered just a few months later after several business issues surrounding parent company Treadsack came to light.) 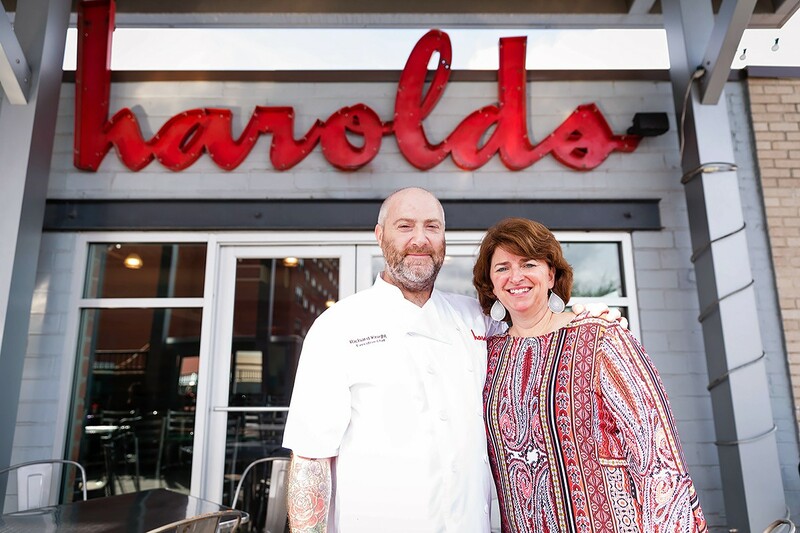 His fans are going to be very happy to hear that Knight has once again found a place to call his own at Harold’s In The Heights, owned by businesswoman Alli Jarrett and located at 350 West 19th Street. Since his departure from Hunky Dory, Knight and his wife, Carrie, haven’t exactly been taking it easy. They have hosted several farm dinners, were leaders of the Houston and beverage industry effort to feed Hurricane Harvey victims and first responders and are showcasing local farmers in a series called “Show Us Your Goods” that is currently being pitched as a TV series. 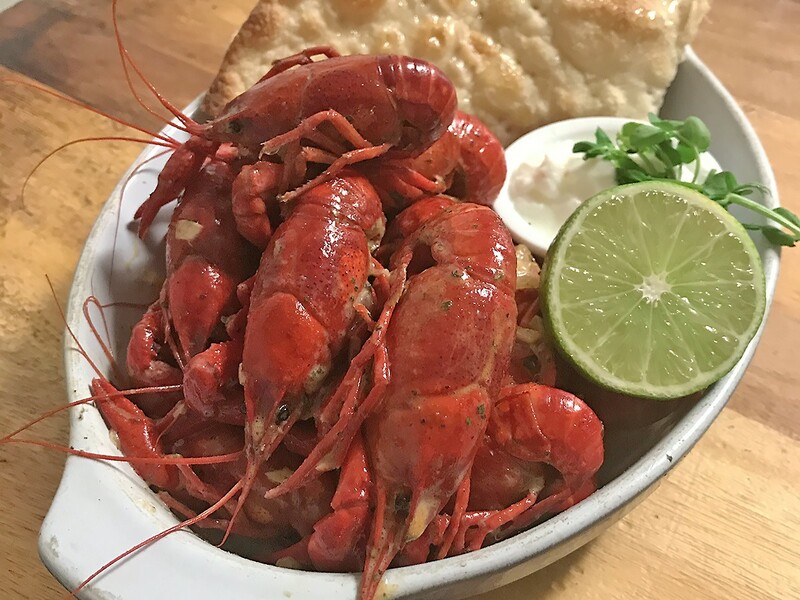 Yes, it’s crawfish season in Houston, but this take being developed by executive chef Richard Knight of Harold’s In the Heights has a twist. These are spiced Indian-style and come in three varieties: Mild Korma, Tikka Masala and Spicy Vindaloo. All will be served with raita and flatbread. Photo by Richard Knight. Knight is already on the job and currently working on menu development. He says new dishes will start appearing mid-March. A native Brit, Knight is known for signature dishes that include exemplary sticky toffee pudding and fish and chips, which are practically birthrights. However, it would be a grave error to underestimate his versatility. His burger at Hunky Dory was, hands down, one of the best in Houston. Expect that Harold’s will soon feature another Knight creation that includes two thin, crispy patties and all the accoutrements. Watch this space—more of the menu will be revealed soon. A new salad for Harold’s In The Heights under development by executive chef Richard Knight: Salad Royale No. 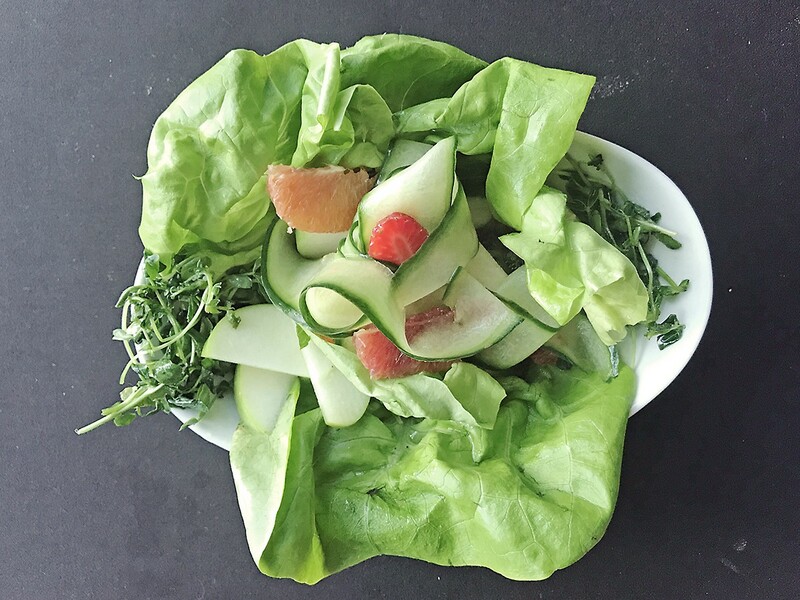 3 with Bibb lettuce, shaved cucumber, strawberries, apple, dried oranges, pea shoots and fresh mint. It’s dressed with Champagne Vinaigrette given extra depth by Pimms liqueur. Photo by Richard Knight. “Chef Richard and I have a lot more in common than one would think since we are both from the South. Richard is from the southern coast of England and I am from the southern coast of the USA. We both believe in knowing where our food comes from and providing the freshest ingredients possible,” Jarrett said. In other words, this unique melding of “South Meets South” means there are exciting culinary adventures ahead for diners who are ready to join the ride. Article was updated on 3/2/18, 9:51 a.m. to correct that “Show Us Your Goods” is being pitched as a possible TV series. Welcome Chef Richard!! Looking forward to your menu! I loved the pork belly at Feast, so delicious!